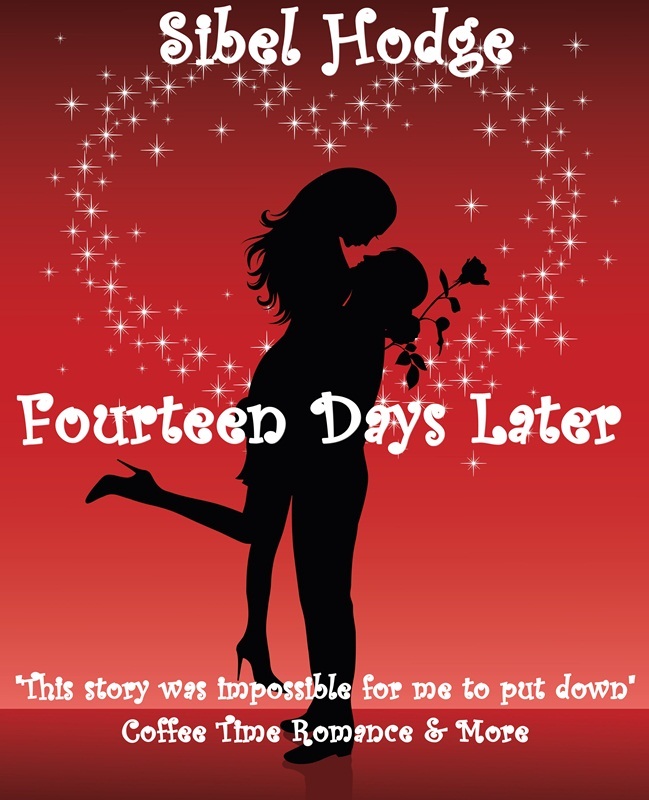 Today we have chick-lit (amongst other things) author Sibel Hodge for an interview. Sibel splits her time between Hertfordshire and North Cyprus, which not only sounds glamorous, but allowed her to draw on her experiences for her first novel Fourteen Days Later, which was short listed for the Harry Bowling Prize 2008 and received a Highly Commended by the Yeovil Literary Prize 2009. It is a romantic comedy with a unique infusion of British and Turkish Cypriot culture. Written in a similar style to Marian Keyes, it is My Big Fat Greek Wedding meets Bridget Jones. Here’s a little about that book, before Grace takes over. Okay, Grace, handing over to you. Hey Sibel, that story sounds very fun and catchy, too! It seems like your Muse does a great job inspiring you. What’s the next project they’re helping you out on? Well, I’ve got a few swirling around in my head at the moment. I’m going to write a novel about a group of girls who go to Vegas for a hen party. And wouldn’t you know it, I have to actually go to Vegas for research! What a shame! I’ll also be working on my fourth Amber Fox mystery, and doing something very different from my normal chick lit, a psychological thriller. Vegas! I’d love to go with you, but that’s probably off-limits for Angels. So, can you tell me, which of your characters are you most like? All of my lead female roles have got bits of me in them. I’ve been unlucky in love and I’m accident prone like Helen in Fourteen Days Later. I can be sarcastic and feisty like Amber Fox in my comedy mystery series. And since The Baby Trap is based on own my experiences with infertility, I’m a lot like Gina in the book. Aww…I’m very sorry to hear about unlucky in love, accident prone and fertility issues, but it’s great that you’re feisty. I’m sure it’s served you well! What’s your favorite book of all time? And I’m also sorry about this next question, most of the authors don’t seem to like it. One of my real faves that I’ve re-read loads of times is To Kill a Mockingbird – an absolute classic. Omigosh! My author adores that book, it’s one of her faves too. Someday I’ll have to read it. Okay, fair warning. I’m totally gonna change topics on you. In your opinion what makes a guy character swoony-worthy? I love a sense of humor so that’s really important for me. But of course you want him to be pretty hot, too. And good with his hands. Ha-ha! You had me going. But absolutely a handy guy is good to have around, especially if, er…your, er…plumbing needs work. Now, let’s say you get to go to a rock concert in Heaven, who would you go see? Definitely Bob Marley. I got married in Jamaica and went to see the house where he wrote a lot of his music. He wasn’t home, though! Excellent!!!!!! *sings* One love, one heart. Let’s get together and feel alright. But before we do that, confession time! What’s your biggest writing sin? Zoning happens to me too, but I don’t have a hubby, because it’s off-limits for Angels. When you’re not zoning, are you more of a rule follower or a rebel? Ha ha! I’ve always been a bit of a rebel, but you have to know the rules to know why you’re rebelling! I only have four rules and usually break them on accident. But I often rebel against things that aren’t “real rules”, even if they seem like they are. Wine! When I’m stuck for ideas I’ll crack open a bottle of red and toss ideas around with my hubby. It seems to give me inspiration (well, that’s my excuse, anyway!). Your life sounds a lot more fun than mine. Wine—off limits. So after, you have that glass of zin, what themes do you write about or what do you want readers to take from your books? Mostly my books are about having fun. *winks* Well with Vegas, handy guys and wine I can see why! What better way to de-stress from our hectic lives than having a good laugh? With Fourteen Days Later the premise behind the book is that we’ve all been through relationship break-ups or get stuck in a rut sometimes with our lives and we need to have new experiences to get our confidence back and build our self esteem. It proves anything is possible if you just take a chance. With The Baby Trap, the underlying theme is that we’re too busy concentrating on achieving our goals that we’re not living in the moment anymore and enjoying what we have right now. I love both of those themes, Sibel! Truly. And the one about living in the moment is an important reminder to me, because I can become a teensy bit obsessive about my wings and when I’ll get them. I tend to keep it quiet, but I’m not a Full Angel yet, although I do have a few contacts. Hmm…is there anything you’d like me to mention to yours? Any chance of GA passing on the winning lottery numbers? Thanks for the interview, Sibel! Hey, Shel here! I hope everyone is finding some great reads with the series and tomorrow we’ll have Sheila Horgan in the house. April 26, 2012. Tags: author interview, confession, Fourteen Days Later, guardian angel, Shel Delisle, Sibel Hodge, Winging It!. author interviews. April 26, 2012 at 2:09 pm. Permalink. April 26, 2012 at 2:33 pm. Permalink. Great interview, Sibel! ‘Mostly my books are about having fun.’ This is a really good approach! April 26, 2012 at 2:27 pm. Permalink. I adore fun books too, Gerry! Thanks for stopping by. April 26, 2012 at 3:01 pm. Permalink. Terrific interview with one of my favorite authors/people. THANKS!! April 26, 2012 at 2:52 pm. Permalink. April 26, 2012 at 2:59 pm. Permalink. April 26, 2012 at 3:00 pm. Permalink. April 26, 2012 at 4:19 pm. Permalink. April 26, 2012 at 8:43 pm. Permalink.